Bose, a premier audio manufacturer well known for their award-winning speakers, asked Hydric to help them build a deeper integration between their SoundTouch device and Spotify's platform. Bose were seeking to edge out competitors by providing a superior user experience that began the moment the customer purchased their new Bose SoundTouch speakers. They envisaged a product that would allow customers to program their speakers with Spotify playlist presets before their purchase had even shipped. Making this experience a reality first required the Hydric team to build a deeper integration between Soundtouch and Spotify, so that Bose customers could log into their Spotify accounts through the SoundTouch platform and sync information to their speakers. 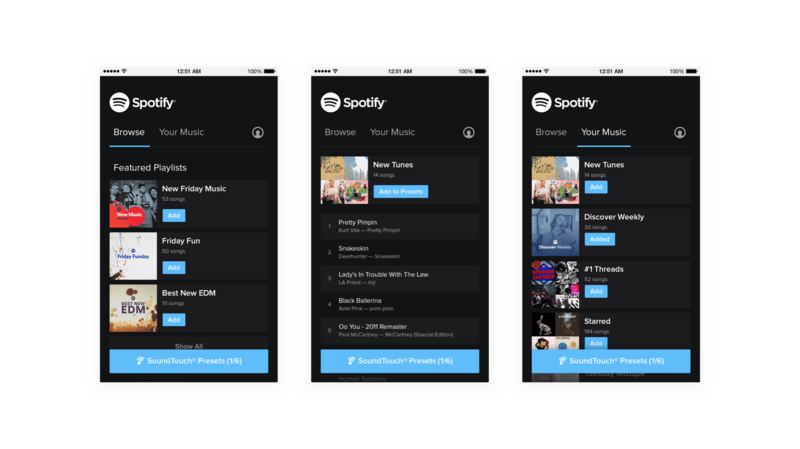 Accommodating the user flows for various levels of Spotify membership required in-depth preparation. We seamlessly facilitated new membership subscription and trial periods as well as both free and paid Spotify members into the process. What made this product truly unique though was the ability to preset Spotify playlists to the physical buttons on the SoundTouch speakers. 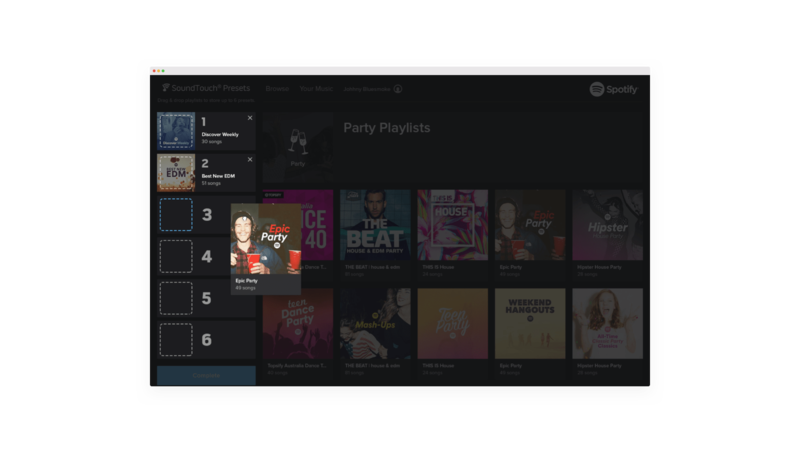 Enabling this feature required incorporating back-end web services, as well as integration of the private SoundTouch APIs with Spotify’s public APIs. Through this process, Hydric were also required to test and give continual feedback on new APIs being concurrently created by the Bose team. Hydric’s finished product was called ReadySet. 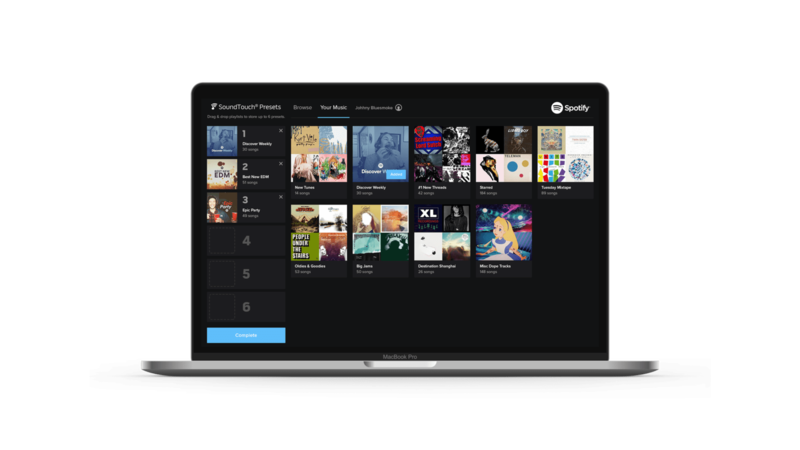 It allowed customers to interact with Spotify content and saved playlists in a mobile-responsive web experience and assign playlists to each button on their SoundTouch speakers using a drag and drop interface. All this was facilitated in the Bose.com checkout process, so when the speakers were delivered, they were personalized and ready-to-use. Hydric’s expertise and deep technical understanding of the Spotify platform and APIs allowed us to design and technically architect a superior customer experience for Bose, reinforcing them as a market leader. Both Bose and their customers were thrilled with the promotion, which led to our next engagement with Bose. You can learn more about that project here.